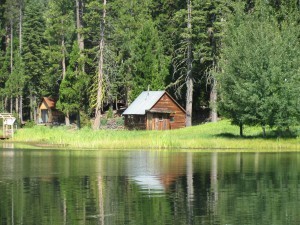 Lassen Meadows Ranch is located 7 miles from Chester California in the Mount Lassen drainage. Only 2 hours from Reno, 3 hours from Sacramento and 4 hours from the Bay Area, this trophy trout fishery is one of the areas most exclusive private still waters. 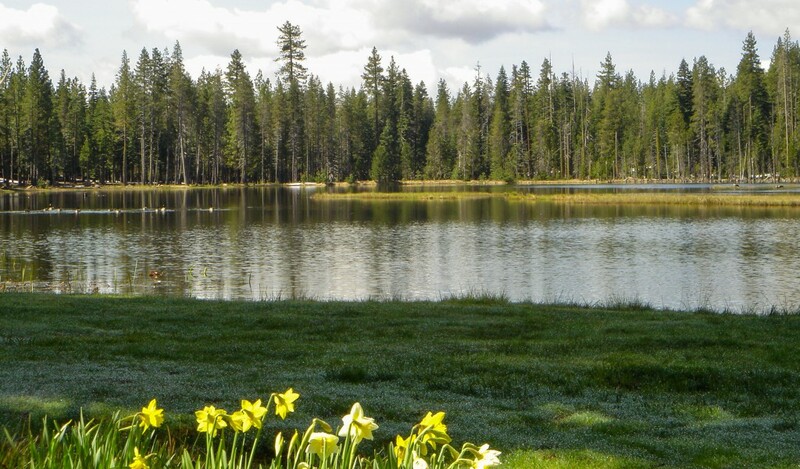 The property sits in the shadow of Mount Lassen and has springs that run into the ranch’s lake year round. 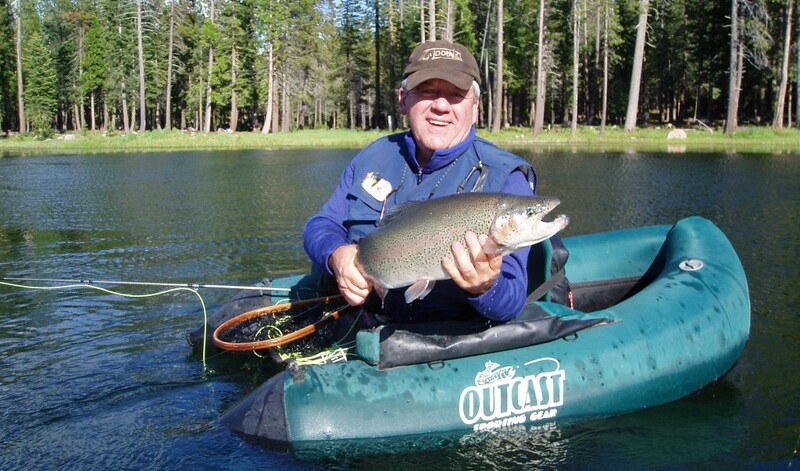 Whether just fishing for the day, camping or staying in one of the cabins, Lassen Meadows Ranch offers fly fisherman from beginner to advanced a place to fish and stay in solitude. The Ranch is the summer home to Russ and Debbie Margiotta. The property is also used for large weddings and parties in the summer. There are lots of things to do on the ranch including hiking and bike riding. The fish in the lake see less pressure than in any other private pay to fish location in California. 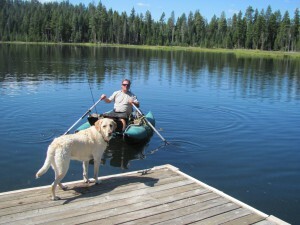 Fly fishing is offered on Blue Lake, a 25 acre spring fed lake on the ranch. The crystal clear spring that runs into the lake keeps the lake clear and cool all summer. There are large weed beds in the lake that provide perfect habitat for numerous insects that are the main food source to the fish in the lake. This helps grow large and healthy Rainbow Trout reaching 2-4 pounds. The lake is perfect for float tubes, pontoon boats or even small prams. The Lake Cabin has one bedroom with a queen bed. 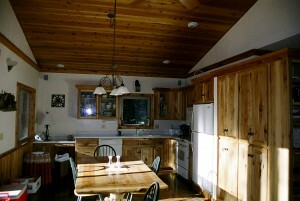 It was built in the same fashion as the Meadow Cabin and has all the comforts of home. 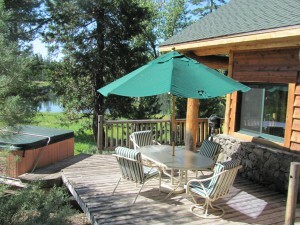 It has an awesome view of the lake and has a hot tub on the Deck overlooking the lake. This is a great choice for couples or single anglers. $200 a night 2 night Minimum. 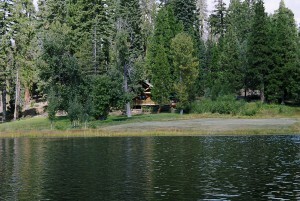 There is also a campground on the property located on the lake’s shore. Complete with full hookups for R.V.s and outdoor lighting, the campground is a perfect addition for club outings or larger groups. There is a bathhouse with separate rooms for men and women with full showers and a laundry room. $30 a night. The fishing season at Lassen Meadows goes from late April (or earlier depending on snowpack) to late October. We generally close the lake from mid July through the end of August to give the fish a rest in the warmest time of year. 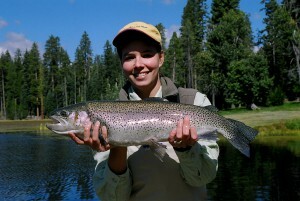 Fly Fishing Fee $125 per angler per day – No extra charge for non anglers.